This time we will have voice and Piano Recital featuring for the holiday season. For reservation, Please click the following link. 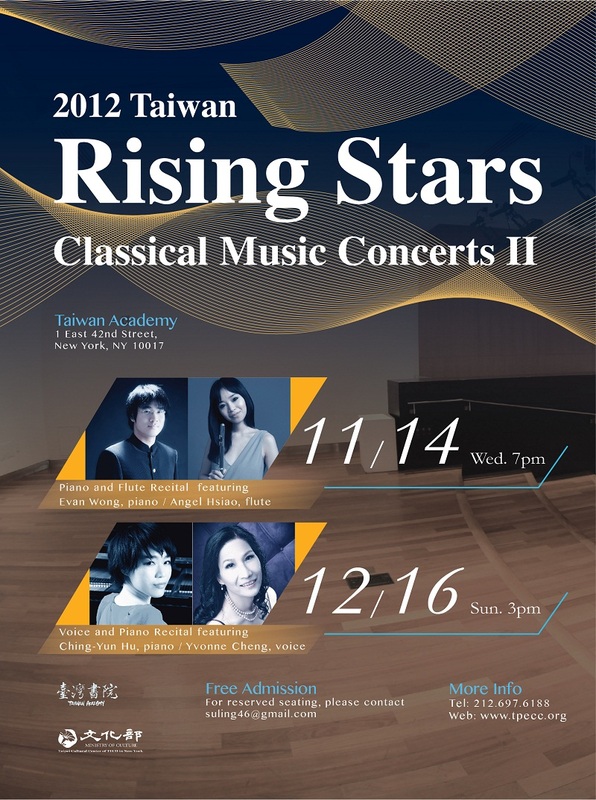 No user commented in " 2012 Taiwan Rising Stars Classical Music Concerts II of Taiwan Academy "